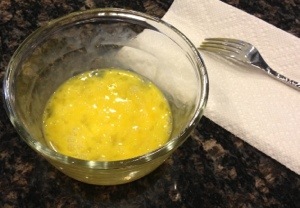 A few friends have asked me recently how I make scrambled eggs in the microwave. I’m always happy to share. 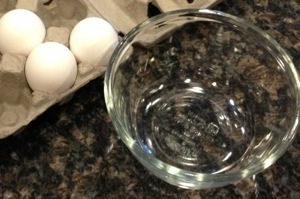 First, you will need a glass bowl, eggs, a fork, and a paper towel or napkin. 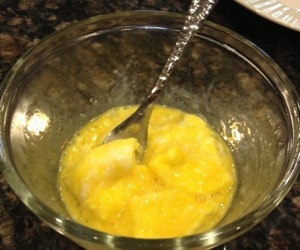 I used a 1 quart bowl for two eggs here, but recommend a larger bowl if you’re making more than two eggs. Also, it’s important to note that microwave cooking times vary – my microwave cooks slower than my in-laws – so you will be able to adjust your cooking times with a little practice. 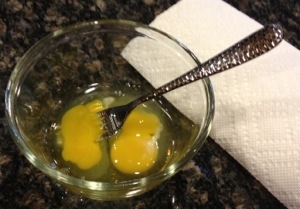 Crack your eggs into the glass bowl, then using a fork, scramble the yokes and whites. Lay your fork on a paper towel as you will need it again, and again. 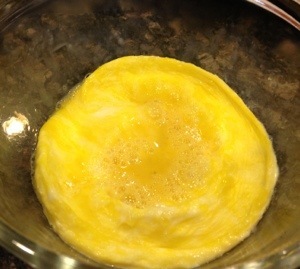 For two eggs, I cook one minute then stir, then cook thirty seconds longer. I recommend you start with 30 second increments, because over-cooked eggs have a strange weblike texture that isn’t appetizing. When the eggs are cooked to your liking (I like mine mostly dry), stir once again and plate your meal. 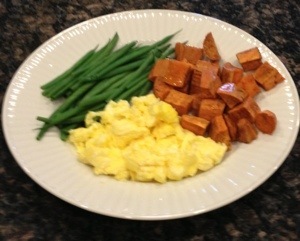 My 300 calorie Paleo breakfast shown above was “made in the microwave” – reheated cinnamon yams, green beans, and scrambled eggs. Now that is breakfast reinvented! Thanks for the link! Great “40” post! !